Mike Nawrocki, co-creator of VeggieTales, is back! In the first installment of this hilarious new chapter-book series, ten-year-old Michael and his friend Justin sneak into the Dead Sea caves near the archaeological dig where Michael's dad is working. Michael finds two 2,000-year-old squirrels petrified in sea salt. Hijinks ensue as Michael tries to bring them back to the U. S., hidden in his backpack. What Michael thinks are just cool souvenirs may turn out to be something much more! The Dead Sea Squirrels series is humorous, fun, and filled with character-building lessons. 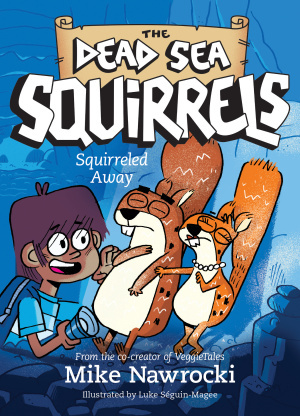 Squirreled Away by Nawrocki, Mike was published by Tyndale Kids in May 2019. The ISBN for Squirreled Away is 9781496434982. Be the first to review Squirreled Away! Got a question? No problem! Just click here to ask us about Squirreled Away.